Updated card. Sasha/Bayley & Joe/Corbin added. Bayley clearly winning the belt. Updated: Apollo Crews(Uhaa Nation) debuts, Vaudvillians get tag title shot, and NXT Title is a Ladder match. 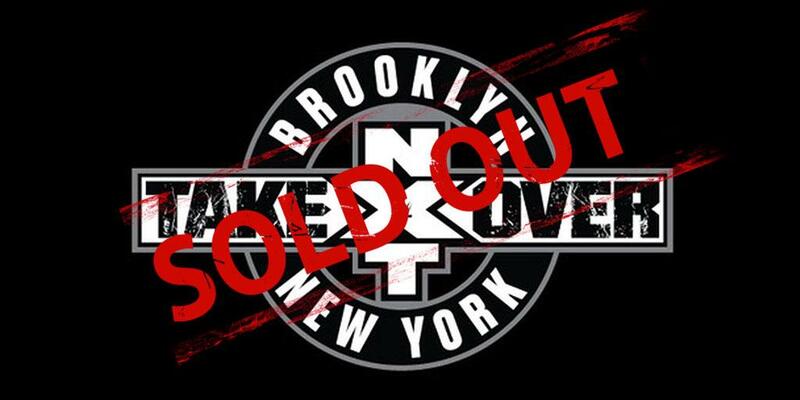 Also for whatever, it's in NY and Enzo & Big Cass aren't booked. bayley winning the title is going to be the highlight of that show, so I hope your excited about it sbr. Swarles wrote: bayley winning the title is going to be the highlight of that show, so I hope your excited about it sbr. Also fwiw I wasn't a huge fan of the ladder match, just kind of felt like spots. Undercard was solid, tag titles was about as good of a match as those dudes can have. Liger over breeze was a real head scratcher. It was a good show but like, I didn't think it was great. Feel like peopele are overrating it due to the crowd. I'm gonna watch the show again tomorrow or Tuesday but live I loved the Owens/Balor match. Such an energy. Also Vaudvillians/BAMF who knew they could have a decent match. Crews is going to be awesome. Thought was amazing. It was booked really well. The Vaudvillians and Baron Corbin defied expectations, even Blake & Murphey. #BluePantsCity. The ladder match was good, but I found it the least interesting as everyone knew Finn was gonna retain. Hats off to Sasha & Bayley, IMO, match of the year. That match alone was worth a months worth of WWE Network alone. The story was great, the action fantastic, the psychology was perfection, and the execution of the ending was fantastic. It was a cool show I guess. Heard Roddy/Okada tore it up though.